We're holding a range of free fitness classes across Bath and North East Somerset on Wednesday 26th September as part of National Fitness Day 2018. Bath Sports and Leisure Centre is holding a free Zumba class taught by three of our instructors (Amy, Siobhan and Juliet) which will take place in Studio 1 from 6:30pm-7:25pm. Keynsham Leisure Centre will be hosting a free dance aerobics class from 7:15pm-8:15pm whilst Chew Valley Leisure Centre will be hosting a free Group Cycle class (6:15pm-6:55pm) and a free Total Body Conditioning class (7:00pm-7:55pm). 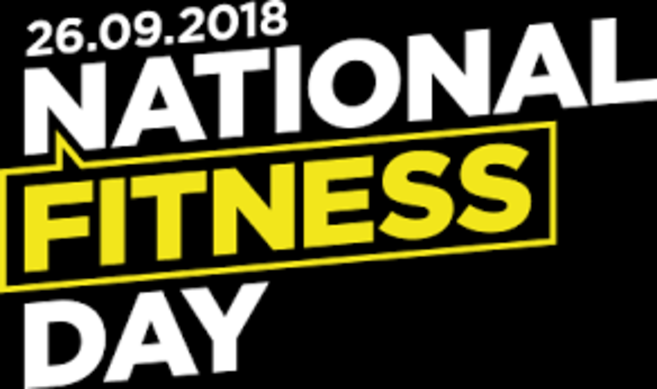 National Fitness Day is back for the 8th year and is a chance to highlight the role physical activity plays across the UK, helping us raise awareness of its importance in helping us lead healthier and active lifestyles. Wednesday 26th September promises to get a record number of Brits moving to celebrate the fun of fitness. Like all of our classes, members can book online for this free class a week in advance (from the 19th September) and non-members five days before (from 21st September). You can also try our gym for free on the day by taking out a one day pass online.